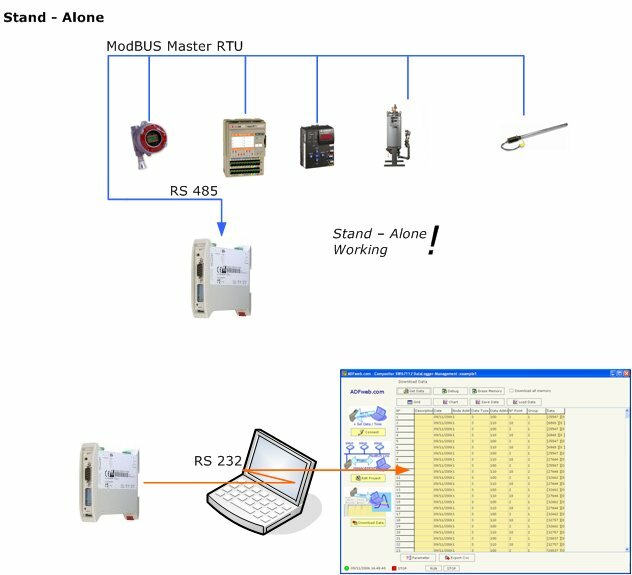 The Datalogger Modbus series HD67324-B2 is used for recording data in a line Modbus, up to 2GB. 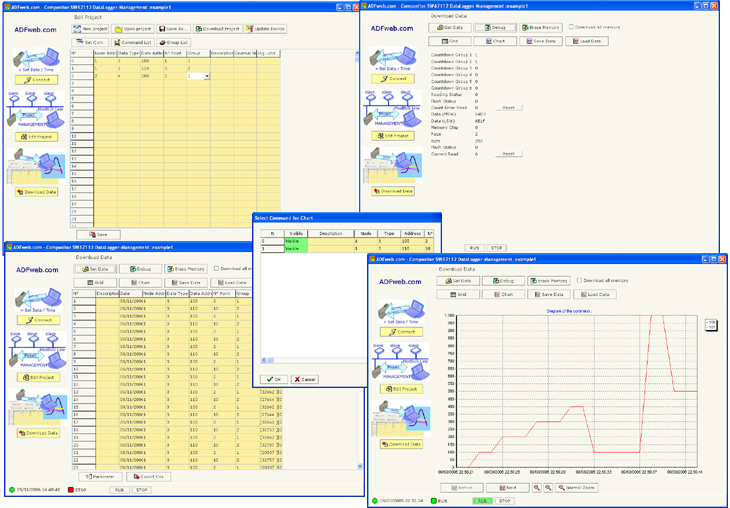 The datalogger is operating in stand-alone , can be connected to Master Modbus , or in the Modbus Slave , via a RS485 or RS232. The data acquired from the device can be downloaded through a USB port .